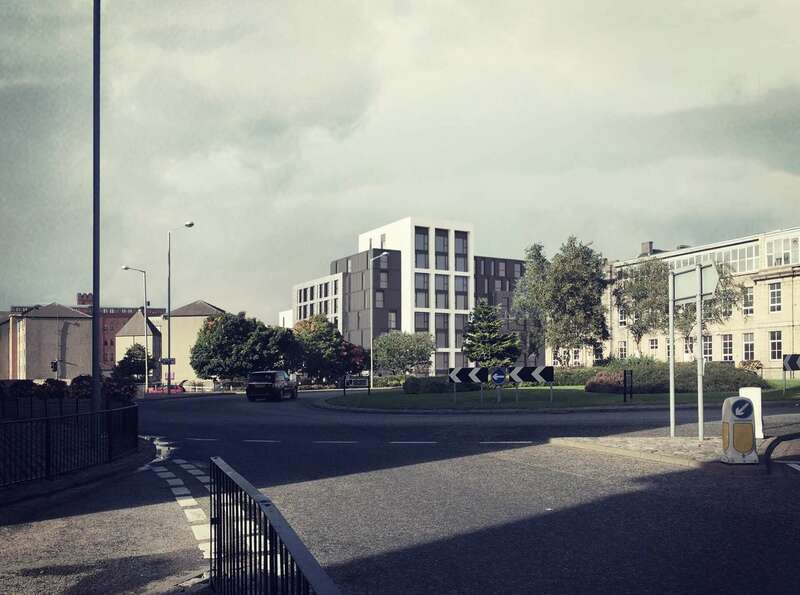 Leading student accommodation provider and property developer, Downing, has submitted a planning application for a luxury, 374 bed student accommodation development on John Street, Aberdeen. The plans, prepared by architects Fletcher Joseph Associates, offer a high-quality development of an empty brownfield site, which has been left derelict following the demise of an originally approved hotel scheme set out by another developer. The proposed scheme will offer active frontage, linking the city centre streets with the Woolmanhill area, and feature a landmark corner block, which is to act as a visible bookend to John Street. The building’s footprint will form a u-shape and step down in height towards the rear of the site, revealing a communal courtyard and providing amenity space while respecting neighbouring properties. The materials chosen for the scheme aim to reference both historic and contemporary elements of Aberdeen. A grey brick is to be used in a nod to the colouration associated with the ‘Granite City’, accompanied by aluminium cladding panels. The feature tower will be clad in contrasting ceramic panels, complementing the dynamic, stepping form of the site. The facade will be split into frames that echo the classical proportions of the former university building opposite, leading the eye along the street and helping the development to blend with the neighbouring properties. Paul Houghton, development director at Downing, said: “Our proposals represent a substantial investment in Aberdeen and, if our planning application is successful, will be Downing Students’ fourth development in Scotland. Following submission and pending successful approval from the planning department, it is hoped that students will be able to move in by the end of summer 2018.